Located in Esbjerg, Denmark’s fifth largest city, Densen Audio Technologies has been making hi-fi components since 1992, when it was founded by Thomas Sillesen, who built his first amplifier at the age of 13. In his teens, Sillesen worked in audio retail, and later began importing and distributing audio in Denmark while attending business school. Sillesen wasn’t particularly excited about the products he was distributing, so he decided to try to make something better. 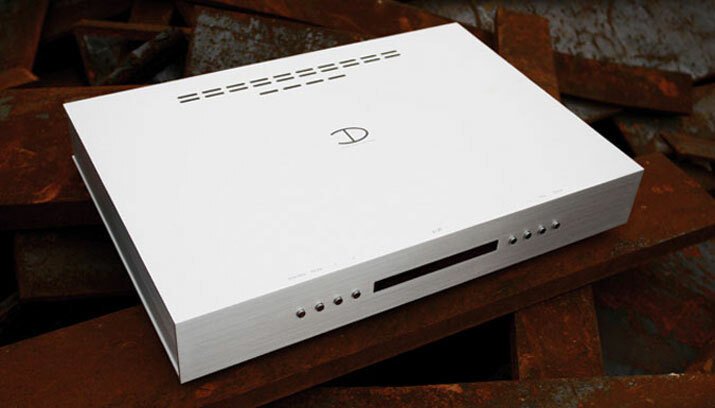 The very first Densen product was the DM-10 integrated amplifier, which made its debut at the London HiFi Show in 1992. At that time, the DM-10 was one of the most expensive integrated amplifiers on the market. That didn’t keep it from being very successful, and ever since, its model name has been synonymous with Densen. Twenty years later, Densen is still squarely focused on manufacturing integrated amps, while also making preamps, mono and stereo amplifiers, CD players, a tuner, and a phono stage. The subject of this review is the Beat B-130 integrated amplifier, aka the B-130. I’d never reviewed anything from Densen before, and this model seemed a fitting introduction to a company that established its reputation with an integrated amp two decades ago. At $3700 USD, the B-130 falls in the middle of Densen’s current range of integrateds, which also includes the B-110, the B-150, and the B-175. At just under 29 pounds and measuring 17.3"W x 2.5"H x 12.2"D, the B-130 is sleek and sturdy. Its aluminum case will not only blend into just about any imaginable décor, it also reduces magnetic distortion while dissipating heat -- a perfect marriage of form and function. When I hooked up the B-130 to Argon3L speakers, from the Finnish company Amphion, these Scandinavian components proved the perfect aesthetic partners, their clean, sharp lines and unassuming appearances complementing one another. The B-130’s front panel is especially uncluttered: just eight symmetrically placed buttons, four to each side of the central red-dot-matrix display. With regard to functionality, the B-130 comes well equipped, offering a variety of connections and a surprising number of upgrades. The connections include four line-level inputs, two tape loops, a processor loop, and two sets of preamplifier outputs. Two of the line-level inputs are specified for CD and Tuner; if used with a Densen CD player or tuner, they can be controlled by Densen’s Gizmo remote, which right now is a free option, as part of a promotion for customers in the US and Canada. Of the two remaining line inputs, one can be converted to a phono input by adding either Densen’s DP-03 moving-magnet or DP-06 moving-coil phono stage ($300 each). The buyer can connect the B-130 to an external surround processor via the processor loop, but also has the option of having installed either the SB-1 or SB-2 analog surround-sound processor ($450). With either of those options, the B-130 can be connected to a DVD player with either 5.1- or 7.1-channel analog outputs and used to power two channels of a surround-sound system. The B-130’s two sets of pre-outs mean that it can also be used with up to two additional amplifiers, to biamp or even triamp a pair of speakers. Furthermore, there’s a socket inside the B-130 for adding Densen’s SAXO electronic crossover to create an active system. If you opt for this, Densen will custom-make it for you based on your speakers’ specs; if, later, you replace your speakers, the crossover can be modified by Densen for use with your new speakers. The price will vary depending on the speakers used, but the installation of the crossover is free. Since you’ll need another amplifier to drive two-way speakers, this upgrade path is more costly. Then again, if you want to use an active crossover, Densen is the only company I’ve ever encountered that offers this option for an integrated amplifier. For practical reasons, I wasn’t able to test this feature during the review. As if the phono-stage, surround-processor, and active-crossover options weren’t enough, there’s also an external power supply ($995). That’s the sort of feature you expect to see in a higher-priced audio component, but if you’re concerned about the signal from the B-130’s internal power supply contaminating the sensitive circuitry to which it sits adjacent, Densen has a solution. Rated at 80Wpc into 8 ohms or 160Wpc into 4 ohms, the B-130 should be able to drive most speakers in a midsize or even larger room. The source of this power is a 500VA toroidal transformer, encapsulated to minimize vibrations. Separate power supplies are used for the output transistors, preamplifier, and microprocessor. Like every other amplifier Densen makes, the B-130 is a zero-feedback design. It also comes equipped with the company’s DenLink terminal on the back. Via a special DenLink cable, the B-130 can communicate with other Densen products and be used in a multiroom system. Instead of a potentiometer or electronic attenuator, the B-130’s volume control uses analog relays, a more expensive approach that requires a complex array of relays that switch the signal through precision discrete resistors. The advantage is that the channels are very well matched, while noise and distortion are minimized. Still, I wasn’t a big fan of the volume control’s operation. There are 200 individual volume steps; to speed up the process, holding the volume button down skips ahead in five-step intervals. Each time I changed the volume, I heard a click -- the sound of the mechanical relays switching. But these are analog relays -- the clicks can’t be defeated or even turned down. Furthermore, when I hit the Mute button, the volume didn’t shut off immediately; instead, it decreased in increments of five volume steps each, clicking every step of the way until it reached zero. Not only is this process a bit slow, it’s annoying. Most likely, any user of the B-130 will learn to ignore the clicks after a while -- but you should know it’s there. Densen offers a lifetime warranty to the original buyer of any of its products. I know of no other company that does this. The Densen B-130 was connected to Amphion Argon3L speakers using AudioQuest Type 4 speaker cable terminated with banana plugs. The B-130’s single set of binding posts will accept banana plugs, spades, or bare wire, and these made a secure fit with the AudioQuests. An NAD C542 CD player served as a digital source, and fed the Densen via Kimber Kable Tonik interconnects. Both the NAD and Densen were plugged into an ExactPower EP15A power conditioner/regenerator. When I began listening to the Densen Beat B-130, I made a rookie mistake: I set out to find something. I tried to identify the most prominent characteristics of its sound, those traits that would define the B-130’s distinct personality. The problem with this approach is that some components don’t have easily distinguishable sonic characters. Rather, they just perform their task without editorializing, and let the recording and the rest of the system do the talking. Welcome to the world of the Densen B-130. This integrated amplifier was the proverbial fence-sitter. It didn’t sound too forward or too recessed, too bright or too dark, too full or too dry. All of which is just another way of saying that the B-130 was neutral -- it did very little to color the sound of the signals it amplified. It didn’t really have a trademark sound, such as a forward midrange or rolled-off highs, but instead took on the character of whatever was in the CD player. Once I’d realized this and stopped looking for something that wasn’t there, I was able to scribble some listening notes. If I had to summarize the B-130’s sound in a single word, that word would have to be musical. That might seem rather nondescriptive: strictly speaking, anything that produces music is, by definition, musical. What reviewers mean when they describe a component with this somewhat ambiguous term is that the component in question is engaging, and encourages the listener to focus on the music itself rather than any specific attributes of the medium by which the sound of that music is reproduced. Typically, such components invite long listening sessions, during which the listener finds that he or she is connected with the music rather than obsessing over hi-fi. This was the impression left with me by the B-130. Listening to "Give Up the Ghost," from Radiohead’s The King of Limbs (CD, Ticker Tape Limited TICK001CD), I was treated to a wide, nicely detailed soundstage that filled the front of the room and had solid center fill. Thom Yorke’s voice emerged from the left speaker against the sound of someone rapping on the front of an acoustic guitar, creating a resonant thud that was woody and hollow. Yorke’s voice was then repositioned front and center, with a good dose of reverb to accentuate the sense of space. Especially since the sessions for Kid A and Amnesiac, Radiohead’s music has tended to serve up soundscapes far larger than any domestic listening environment. Those on the Oxford quintet’s most recent album, The King of Limbs, were superbly portrayed by the Densen. The B-130 communicated the punchy rhythm of the drums in "Separator" with clarity and precision, without sacrificing any warmth or musicality. With 80Wpc, the Densen had power to spare, and impressed me with its ability to remain as composed and pristine at low volumes as at higher ones. Although I put it through its paces with a punishing mix of thumping electronica and fat hip-hop beats, the B-130 never flinched. Maybe this Danish integrated could have been pushed into clipping with more demanding speakers and/or in a larger room, but this little powerhouse demonstrated again and again that it could more than keep its composure while playing loudly -- even at volumes that might have irritated my neighbors. Fed "Youlogy," from Shabazz Palaces’ ridiculously good Black Up (CD, Sub Pop 98787 09002), the B-130 provided the Argon3Ls with all the juice they needed to get their 6.5" woofers springing back and forth, filling the room with warm, fat bass. The voices and effects on this track were well resolved, despite an abundance of low end that might have sounded muddled through a lesser system. Granted, the Argon3Ls played a substantial part in this feat, but it’s worth noting that the B-130 proved a good partner, helping to showcase the Finnish speakers’ talents by giving them an abundance of good, clean power. With "2:45 A.M.," from Elliott Smith’s Either/Or (CD, Kill Rock Stars KRS 269), the B-130 moved effortlessly through the dynamic climax near the end of the tune while clearly delineating Smith’s double-tracked voice across a broad stage that filled my room. What was most impressive, however, was the weight and thump of the kick drum, which managed to sound both voluminous and clean. Again, the B-130 was pretty good at balancing its strengths. As musical as the Densen was, it couldn’t smooth the rough edges of Bob Dylan’s The Bootleg Series Vol.9: The Witmark Demos: 1962-1964 (CD, Columbia 88697 76179 2), a collection of early recordings made shortly after Dylan arrived in New York City. Although a few tracks sound really good, many don’t, even if the music itself is timeless. Many of the songs sound very two-dimensional, and Dylan’s voice comes across as excessively nasal. The B-130 did a pretty good job of ruthlessly portraying this less-than-stellar sound, and in so doing didn’t hide any of the music’s rawness as it painted a portrait of a young singer destined to become an American icon. In this regard, the B-130 was commendably neutral: It simply allowed the music to transport me to a time when popular music was about to be turned on its head. The B-130 wasn’t the quietest integrated amp I’ve heard -- that honor would go to Stello’s Ai500 or to Simaudio’s Moon Evolution 600i -- but it shouldn’t disappoint anyone who values detail and resolution. The Densen’s relatively low noise floor made it easy for me to hear pretty far into the more subtle recesses of my music collection. I appreciated the purity of its midrange reproduction, which I was especially drawn to while listening to Tori Amos’s Boys for Pele (CD, eastwest A2 82862). Amos’s voice is the focal point of this album (and of most of her other albums), and the B-130 was adept at resolving it with the sort of clarity that made it seem as if she were in the room with me. In "Little Amsterdam," her voice and piano are brought forward in the mix -- the B-130 ably reproduced this, while providing clear outlines of the backing singers. In "Blood Roses," the sound of the harpsichord strings was pristine, and had a lively, infectious rhythm that underscored this song’s dark story. The banjo strings in "Your Rocky Spine," from Great Lake Swimmers’ Ongiara (CD, Nettwerk 30691 2), were crisp and clear, situated on a large stage that had a good sense of depth. The music sounded detailed, but still full enough to give the drums the necessary weight and warmth to bloom into my room. Throughout Ongiara, the listener is reminded that the album was primarily recorded in Aeolian Hall, in London, Ontario, which was once voted by CBC Radio listeners as one of the top ten live music venues in Canada -- reverb permeates each track, virtually transporting the listener to this acoustically magnificent hall. That sense of space was palpable through the B-130. If you want to lose yourself in music, Densen’s B-130 is ready to take you away. I pitted the Densen Beat B-130 against my longtime reference integrated amplifier, Bryston’s B100 SST ($2995). The B100 is very similar to the B-130, boasting 100Wpc into 8 ohms or 180Wpc into 4 ohms. It has a similar set of inputs, but lacks the options of adding an internal crossover or surround processor. Its preamp section can be separated from its power-amp section, so that it can be used independently; therefore, like the Densen B-130, the Bryston can power two channels of a home-theater system. Also similar to the B-130, the B100 can be ordered to include an onboard moving-magnet phono stage; unlike the Densen, the Bryston can be outfitted with an onboard D/A converter. Bryston offers an impressive 20-year transferable warranty on everything it sells. Densen is remarkable in going one step further with its lifetime warranty. Sonically, the B-130 and B100 had quite a bit in common. Both were neutral, adding very little of their own sound to the music. Furthermore, both were commendably quiet, presenting music against a "black" backdrop -- low-level details were much easier to discern. The latter point is a huge compliment to the Densen. Until last year, when I reviewed Stello’s Ai500 and Simaudio’s Moon Evolution 600i, the Bryston B100 had been the most transparent integrated amplifier I’d ever heard. With the arrival of Densen’s B-130, I’ve found another integrated that plays in the same league as the Bryston in terms of its ability to let me hear into the music. I still think the Bryston comes out a little ahead in this regard, but the gap between them wasn’t huge. Even the B-130’s ability to reproduce clean, deep bass was on a par with the Bryston’s. Playing "The Gates of Istanbul," from Loreena McKennitt’s An Ancient Muse (CD, Quinlan Road QRCD109), the B-130 had no problem generating clean, solid, weighty bass lines in a way that I think only those amplifiers with a sturdy power supply can. The B100’s bass was a touch drier in comparison, trading off some of the B-130’s fullness down low for a slightly leaner sound. Both performed admirably well; I doubt whether differences in the way the two handled bass will steer potential buyers one way or the other. Ultimately, both the Densen B-130 and the Bryston B100 SST partnered really well with the Amphion Argon3L floorstanders, each seeming to exploit the very best these speakers have to offer. I think this is a testament to their inherent neutrality and clean, abundant power. Given my experience with the Bryston, I wouldn’t be surprised if the B-130 proved a good match for a number of different loudspeakers. 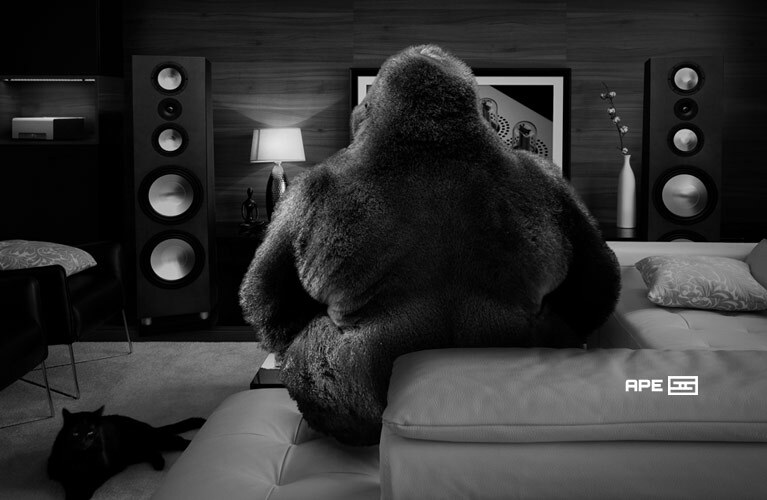 Densen Audio Technologies’ slogan is "Life is too short for boring hi-fi." I couldn’t agree more. Owners of the Beat B-130 will be spared a life of ennui -- something that’s completely foreign to this accomplished integrated amplifier. With its neutrality, transparency, and power, I think you’ll find your listening experience infused with the sort of energy and excitement that will remind you why you got into this hobby in the first place. Add the fact that it comes with a plethora of upgrade options and a lifetime warranty, and the B-130 could be the last integrated amplifier you’ll ever buy. If you’re considering upgrading your system and want something you can own and cherish for many years to come, Densen’s B-130 should be on the shortlist of products you need to hear.